Wow – how times flies. It’s been a while since I posted here for various reasons – suddenly having unexpectedly had to move house again for the second time in 18 months has been a bit preoccupying, not to mention exhausting (more on that soon…). And work, especially at the university where I’ve been working part-time, has been busy too this summer with tonnes of marking. More hopefully on all that very soon (the house stuff, rather than the marking…). Anyway. 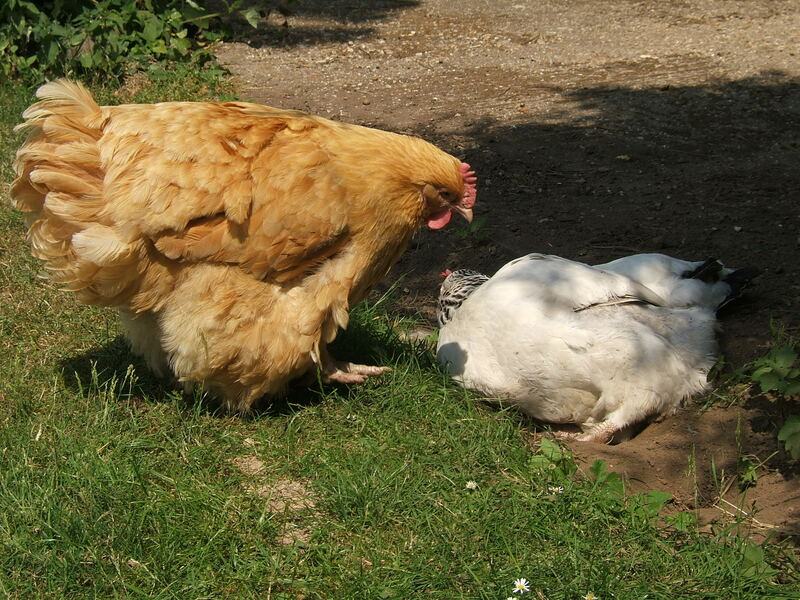 The nice thing is that our new rental has a lovely big garden and the hens, Marmalade (the large orange hen) and Missy (the white one with the pretty black collar), once again have a bit more space to explore. Surprisingly, they and the cat have settled in really well very quickly. Even Marmalade has been making good use of all the garden, exploring various nooks and crannies. She is not normally an adventurous soul! 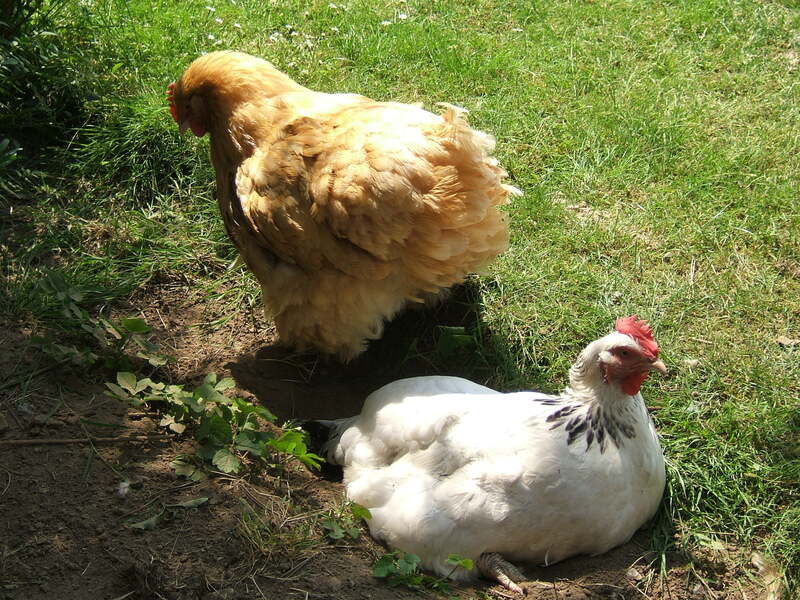 There has been a lot of rushing out at 5.30am to let them out of the hen house into the run, though, as, with the bright mornings, the girls are often up with the lark and we don’t want to annoy our new neighbours with their impatient early morning squawks to get out. 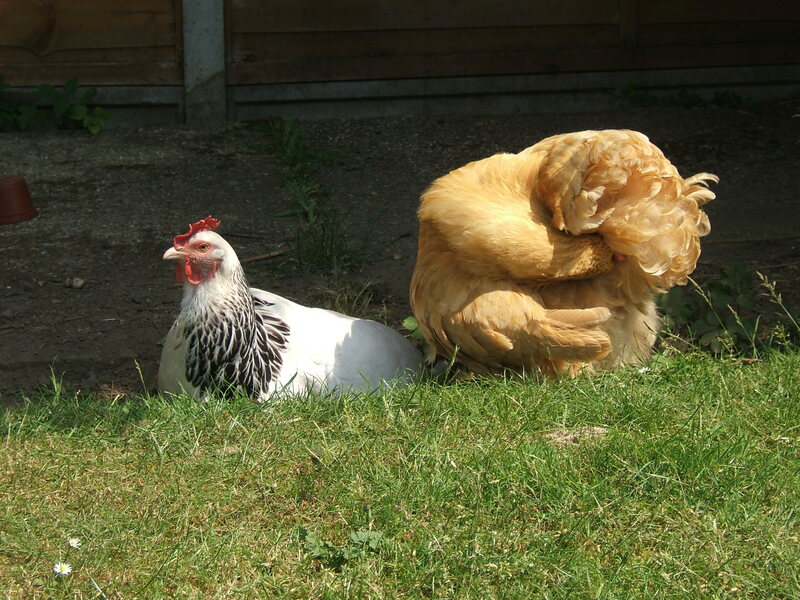 This entry was posted in Green living, Hens, Uncategorized and tagged hens; dust-bathing; hertfordshire; keeping hens; the good life; frugal living. Bookmark the permalink.